ELC-P5 - Signtex Lighting Inc. Typical applications for Type P5 may include LED down lights, with normal power ranging from 5W to 70 watts or more. All Signtex central battery systems Series CBL and CBM include fully automatic self-test, self-diagnostics. Series CBM includes the MARS™ Monitoring and Reporting System which provides cloud-based internet communication and fault reports delivered automatically via email for all components of the emergency system. External mount, factory or field installable on junction box cover. Constant emergency power output is factory adjustable from 5W to 22W (see option HP). Output voltage auto sensing range up to 41V. Available for LED fixtures operating from 5W to 70W or higher in normal mode. 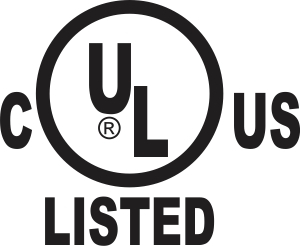 UL Listed in compliance with ULStandard 924 and CAN/ CSA C22.2 No. 141-15 for field or factory installation in Fire and Electrical Enclosure. All Signtex Central Battery Systems and MOONLITE LED emergency fixtures are Listed to ULStandard 924.